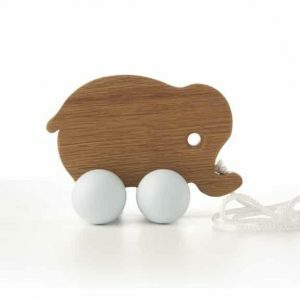 An adorable baby elephant with beautiful pastel-shaded wheels and a white cord to pull her along. Once you’ve made friends she’ll want to follow you everywhere. 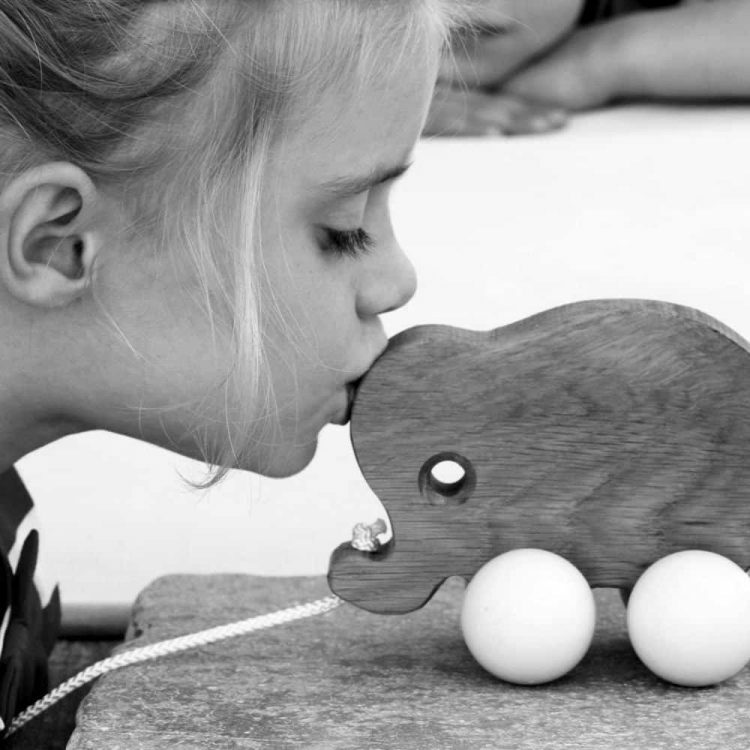 Handmade, contemporary and ergonomic, this solid oak wooden elephant is a lovely gift inspired by nature. 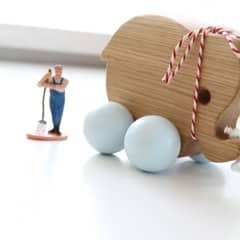 Every baby elephant arrives beautifully presented in her own white branded tube, ideal for keeping her safe and her shoes are finished with child-friendly water-based paint.